Video Tributes for Gala Events, Birthdays and Anniversaries! Many of our video production projects are prompted by a gala event, a birthday, an anniversary or a reunion. After all, there are few better times to honor someone you love and respect. 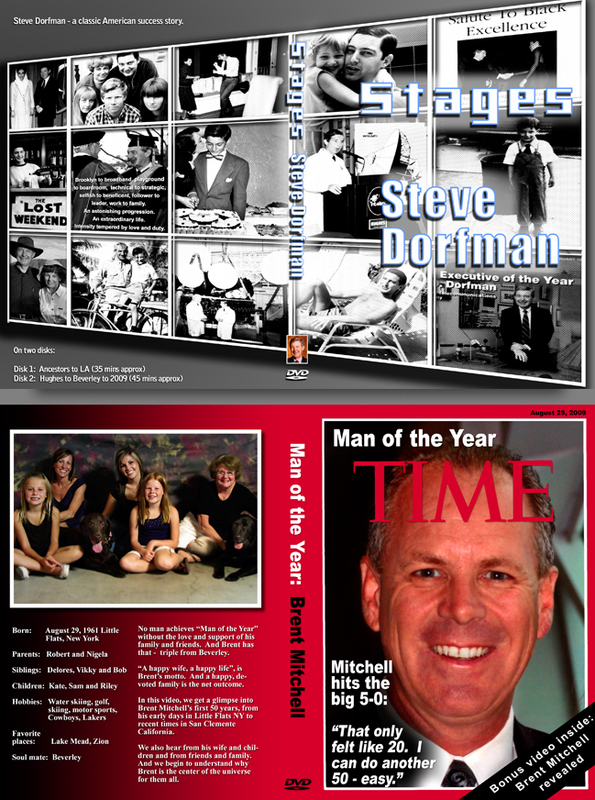 At Your Story Here Video Tributes, we are masters at posing intriguing and sometimes fun questions then combining the interview footage with photos, home movies, historical footage, music, inspirational sayings maybe - you name it - into one seamless, informative and entertaining video tribute presentation. Imagine celebrating your guest of honor with an award winning video tribute. A video tribute is a magnificent accolade to a special life, and a great center piece for a jaw dropping event. 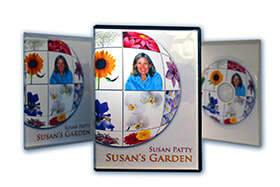 Your Story Here specializes in custom designed DVD boxes that are perfect to showcase your special video tribute. What a surprise! A gift of a video biography. The greatest gift. "It was easy. I called them up, e-mailed them some photos, they designed a DVD box with an inscribed blank disk and we gave it to Mom at Christmas. She was completely thrilled. You may have someone in mind whose birthday or anniversary is coming up. Maybe you are thinking of a gift for the Holidays. With 3 or 4 photographs, and just a day or two, we can create a stunning and unique DVD box that is perfect to give as a gift. Imagine your loved one's surprise! There is no better reason to create a tribute video, video biography or personal history video than for an upcoming gala event or birthday, anniversary or reunion celebration. Our video tributes are thrilling enough to hold an audience's attention, yet substantial enough to serve as an enduring record of a valuable life. Check out our demo reel (main video) and please look at our two case studies - one video honoring a noted philanthropist and the other honoring a loving partner and wife. Our tribute video design work is second to none: Check out these samples and call us today! "Jane and Peter created a video for my husband's 60th birthday. Using video messages and photos from the past and present and after just a few brief meetings by phone to get to know their subject they produced a video which overwhelmed my husband. "Our family surrounded him as he watched the "premiere". He cried, he laughed, he was astounded and amazed and so overjoyed at the video which honored him in a way nothing else could. Jane was so lovely to work with and has become a part of our family for years to come. Talented, easy and considerate of budget I was so pleased to have discovered Your Story Here and will be recommending to all I know. Bravo! A tribute video: the greatest honor. Tom Patty is not the sort of man to do things by halves. His career as an adman gave him clients like Nike, Nissan and Pizza Hut. When he retired from Chiat/Day Advertising in 1998 he was President and Worldwide Account Director. Sailing every Thursday and riding his bike a hundred miles a week, Tom now advises hundreds of small Orange County businesses every year as part of his job as a SCORE counselor. And he has lost none of the drive - or the talent for spotting trends - that put him on top in the advertising world. So when Tom's wife Susan was turning 60, Tom knew he wanted something special. And he didn't just want to buy more 'stuff'. "So much of our time - and our money - is spent on stuff. Just stuff. For a special birthday celebration, we (& devoted husband Tom) produced this "video love letter" - his way of saying in a DVD video just how much he loves Susan. ​"I should know, I have sold a lot of stuff over the years!" says Tom with a wry smile. Don't get him wrong. Tom has nothing against flat screen TVs and other grown ups' technology toys. He just thinks that we - all of us - are looking for more. "We want more meaning in our lives." says Tom - who through his SCORE work and industry associations still spends a lot of his time thinking about the Next Big Thing. "In the decade ahead, the intrinsic worth of things - their subjective meaning - will come to have greater and greater significance in all of our purchasing decisions. We want things that really matter." As it happened, one of the small businesses that Tom has been advising fills just the niche he has in mind. Your Story Here LLC Video Biography is a growing Orange County business that specializes in tribute videos honoring people who may not be celebrities to anyone but their families and friends. In Tom's case, the thing that really matters is his wife Susan. "My wife wants a large garden in the North West. I reflected on that for a long time," says Tom. "In truth, the whole world is Susan's garden. She cares for a large circle of friends and family just as she would care for her garden. I wanted someone to help me turn that concept into a gift." 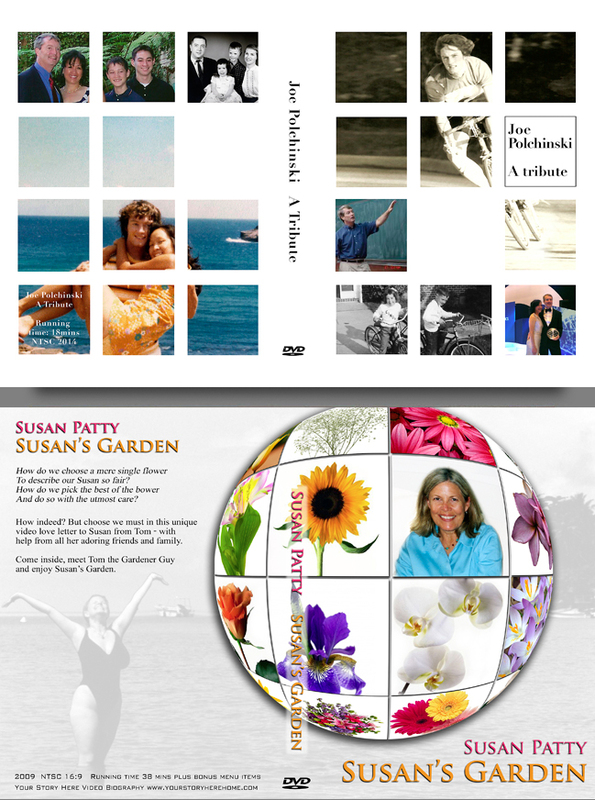 The result of Tom's vision - and Your Story Here's production expertise - is a 35 minute video tribute show called "Susan's Garden". All of Susan's "garden" appears - from her smallest flowers (her grandchildren) to her oldest. "That would probably be me!" says Tom. "I think it is the shape of things to come," says Tom, who carries "Susan's Garden" in his smart phone and readily plays it for anyone too slow or too polite to escape. The technology is great - but Susan is what really matters." Your Story Here owner Jane Shafron agrees. "We are seeing an increasing interest in personal value products like our tribute videos", she says. "Baby boomers worked hard all their lives for material comforts and are now discovering that true wealth only comes from personal connections and meaning." As one of Jane's recent blogs has it: "It's not about the toys." And Susan's reaction? As a long-time producer herself, she was always going to be a tough audience. "It's one of the sweetest things he has ever done," she says.